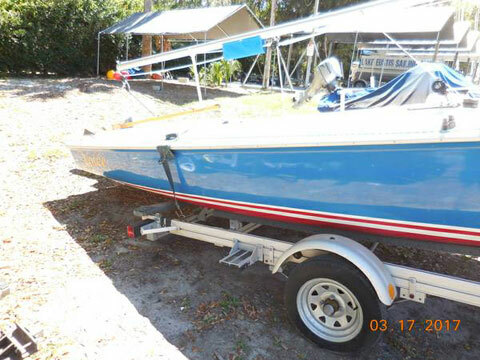 This boat is from the factory with the "Radical Race" package. 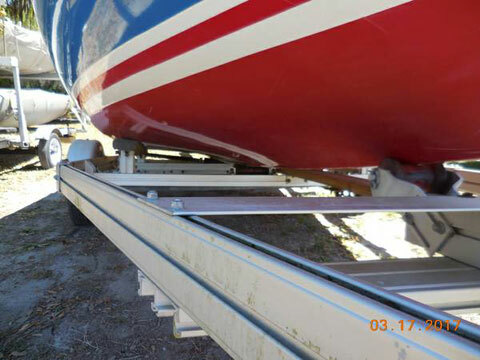 The RR package gets all the goodies needed to make for a fast boat, such as higher power boom vang, outhaul and Cunningham. Rerouted Spinnaker sheets and jib sheets brought to the seats. 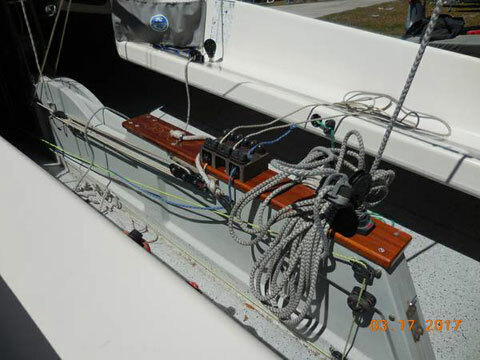 Also the Cunningham, spinnaker topping lift and Boom vang controls brought to a center counsel for easy access on either tack. 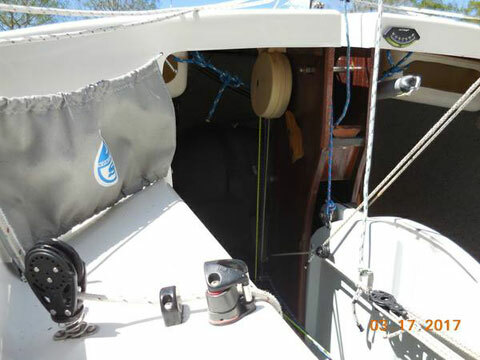 There are ratcheting Harken blocks on the Jib sheets, main sheet and spinnaker sheets. Spinnaker use is also eased with a halyard take-up reel, dual mast rings for the spin pole. Many other hardware items round out the race package, from the factory the Race is a $3700 option. 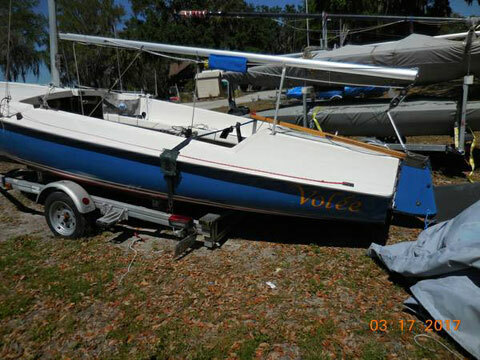 This boat is currently raced at LESC (Lake Eustis sailing club) and is all sorted out and ready to go. 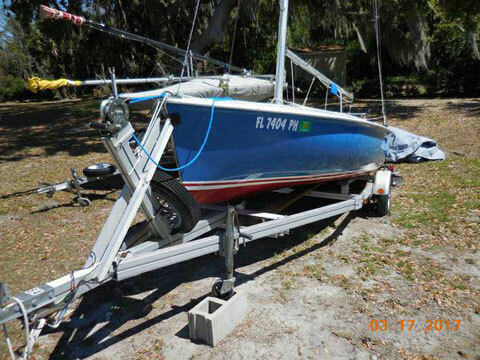 But if racing is not your thing, then the RR package is still desirable as it just makes the boat simpler to handle. 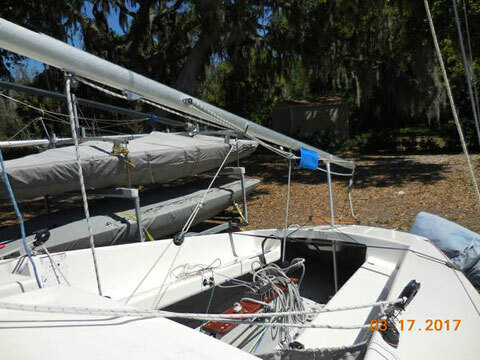 The Main and Jib have plenty of life life in them for learning to handle the boat and the racing, but naturally for a front of the fleet opportunities, new sails are always required, but we have great contacts with UK sails out of Austin TX. 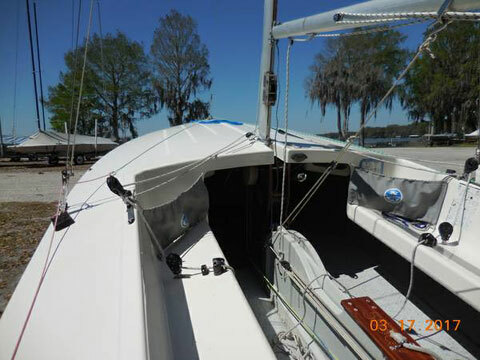 The Spinnaker is in great condition with many fewer hours. 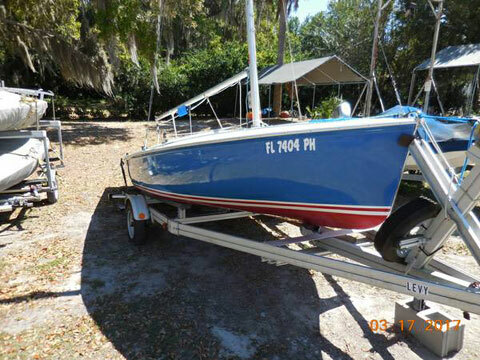 The Hull has no performance issues, there are a few paint scratches on the topsides. Centerboard and rudder in great shape. 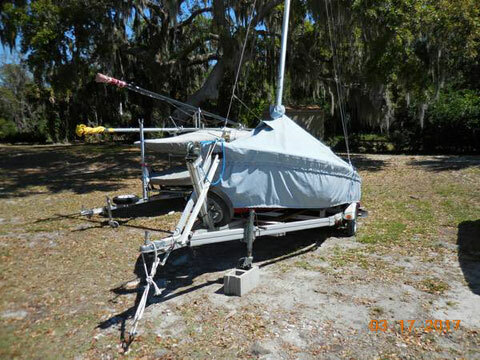 And a full boat cover included to keep that harsh Florida sun off the boat when in storage. She sits on a factory Aluminum trailer which was over a $700 option to the standard galvanized trailer. Less corrosion, lighter weigh and perfect fit.